If you have been reading my blog, then you will know that I love handmade things. As part of my commitment to the handmade community, I have wanted to start featuring other artists whose work I really appreciate. I am very excited to present my first artist interview with Ralph Helmrich of UnkamenSupplies, my go-to chainmaille supply shop. 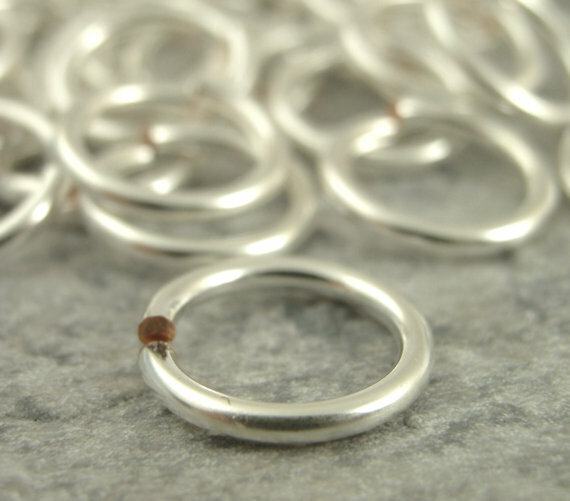 In addition to making high quality jump rings (a chainmaille essential) and beautiful jewelry, he and his family run two other shops on Etsy: UnkamenGifts and FavMoonGirl. I have been purchasing supplies from UnkamenSupplies since I first started making chainmaille. Ralph has been so helpful as I have learned this art form and given me great advice. His selection of top-notch merchandise combined with his great customer service brings me back to his shop again and again. Additionally, his and his family’s commitment to buying and making handmade is truly inspiring. I am so happy to have him here with me today. 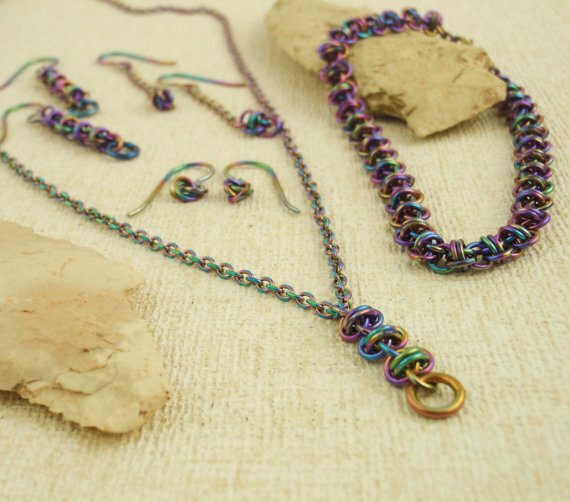 How did you get started making chainmaille? I got started creating chainmaille on a bead shopping trip with my daughter, Leah. I saw a few chainmaille earring kits on sale and decided that it would be fun to try it out. Turns out, I loved it! After purchasing rings from a few sources and not being happy with the overall quality of the jump rings, I decided to put my machining skills to good use and make some of my own rings. That is how my supply shop got started! What do you like most about chainmaille? I love making chainmaille into something unexpected. For example, making jewelry that just happens to be chainmaille. It is such a versatile medium, so many other techniques can be integrated to create unique melds of style and function. What do you like most about running your own Etsy shops? What do you find most challenging? I love it that I am able to support my family doing what I love and can work alongside my family every day! The most challenging part is definitely staying on top of the ever evolving landscape of social media. I see that your family have taken the Buy Handmade Pledge. What inspired you all to buy handmade? I believe that buying handmade is very important to support other crafters and artisans and to create diversity in what we are able to offer to our customers. If I can use a lovely handmade charm from another Etsy seller over a mass produced charm from a craft store, I will pick the handmade one just to add that touch of personality, to make someone that not everyone has seen. What is your favorite handmade item you ever received? Oh, so many to pick from! I would have to say anything that my kids make for me. They are both very creative and have made me numerous handcrafted gifts over the years, from painted ties to drawings, hand carved pocket buddies to lovingly strung macaroni necklaces, my kids just keep coming up with fun new things to make for me. When you are not making chainmaille products, what do you like to do with your time? I like to spend time with my family, taking walks with our two dogs on our lovely country property, eating the wonderful meals that my son Byron cooks, and catching up on my sleep after making so many jumprings! What is the one piece of advice you would offer to other Etsy sellers? I cannot stress the importance of good photographs. My wife Karen does all of our product photography and we both have seen firsthand how sometimes the items picture can make it or break it for how well it might sell. Good lighting, an interesting yet not too distracting background and clear imagery are the basics to a good picture. Thanks for joining me on my blog today, Ralph!